Services will be held at 10:30 a.m., Saturday, February 2, 2019 at Pandora United Methodist Church. Pastor Duane Kemerley officiating. Burial will be in Pleasant Ridge Cemetery, Pandora. Visitation will be Friday from 2:00 – 4:00 p.m. & 6:00 – 8:00 p.m. at Chiles-Laman Funeral & Cremation Services in Bluffton. 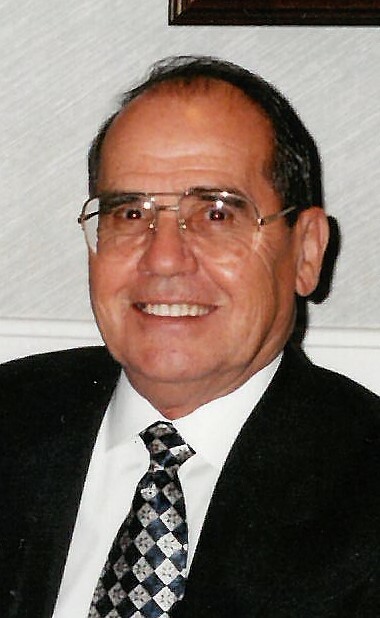 Wallace “Wally” Dale Basinger, 90, passed away on January 29, 2019 at his home in Pandora. Wally was born May 20, 1928 in Riley Township, Putnam County, Ohio to the late Homer and Ella (Badertscher) Basinger. On June 6, 1954, he married Mary Jo Hitchcock and she passed away on February 16, 1963. On April 2, 1965, he married Joan Montgomery and she preceded him in death on October 6, 2014. Wally retired from Wagner Buick-Nissan in Findlay where he was parts manager for 33 years. He was a member of the Pandora United Methodist Church. Wally served as a corporal in the United States Army during the Korean Conflict from 1950 to 1952. 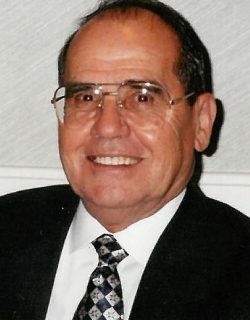 He enjoyed fishing, watching sports, going to his grandchildren’s activities and spending time with his family. Wally was a 1946 graduate of Pandora High School. He was the football announcer for over 30 years at the Pandora-Gilboa football games. Survivors include four sons, Brion (Elaine) Basinger of Pandora, Kevin (Heidi) Basinger of Cedarville, Bruce (Stacy) Basinger of Pandora, Tim (Amanda) Basinger of Bluffton; ten grandchildren, Adam, Austin (Carrie), Amber, Abe (Jen), Jordan, Jenna, Jacob, Kelsey, Zachary and Isabella; one great grandchild, Elon Wallace Basinger; four sisters, Elnora (Jim) Stratton of Bluffton, Odula (Ray) Greenawalt of Bellevue, Michigan, Eileen (Maurice) Garmatter of Bluffton and Mary Lou (Bob) Emans of Luckey, Ohio. Wallace was preceded in death by siblings, Josephine Firestine, Helen Scoles, Harold Basinger, Ralph Basinger, Nettie Mae Ferrall, Earl Basinger and two infant brothers, Clifford Basinger and Mark Basinger. Memorial contributions may be made to Missions at Pandora United Methodist Church or Putnam County Hospice.